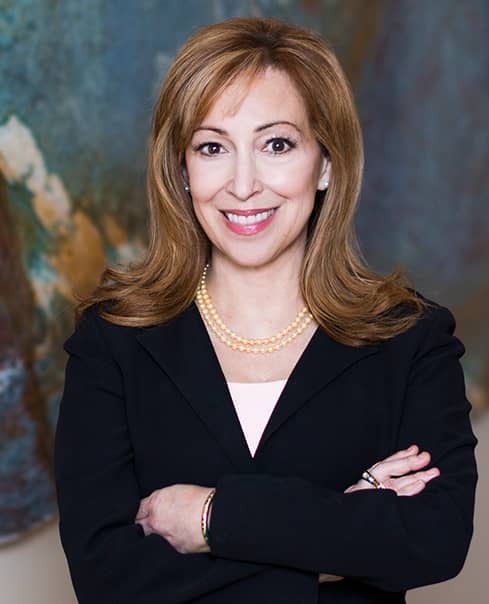 Judge Rose Vela was born at Lackland Air Force Base in San Antonio, Texas, and raised in a military family, attending South San Antonio High School – West Campus. Working her way through college, she earned a Bachelor of Arts degree in 1985 (Major: English, Minor: Political Science) from Southwest Texas State University in three years at the age of 20. She then received a law degree from St. Mary’s School of Law in 1988 and became licensed to practice in Texas that same year. Rose is licensed to practice law in Texas, the United States District Court – Southern District of Texas, and the United States Court of Appeals for the Fifth Circuit. Upon graduation from law school, Rose served as Briefing Attorney to the Honorable Alfonso Chapa of the 4th Court of Appeals in San Antonio. After marrying and relocating to Corpus Christi, she served as Briefing Attorney to the Honorable Robert J. Seerden of the 13th Court of Appeals. She then entered into private civil practice in Corpus Christi, concentrating on civil appellate law. In 1998, Rose was elected to the 148th State District Court of Nueces County. Texas, where she presided over a court of general jurisdiction, including thousands of complex civil and criminal (felony) cases. During this time, she was elected by her peers to serve as the Local Administrative Presiding Judge. In 2006, after serving two full terms as a District Judge, Rose was elected as an Associate Justice to the Thirteenth Court of Appeals, a circuit which oversees appeals from twenty counties in South Texas. She retired from state judicial service in 2016. Rose is a graduate of the Harvard Law School Program on Negotiation (2005), New York University College of Appellate Judges (2009), National Judicial College (1999, 2000) and the Texas College of Advanced Judicial Studies (2005). During her career she has also been involved in numerous civic activities, serving on various boards including the Food Bank of Corpus Christi, Corpus Christi Crime Control and Prevention District (Chair), Nueces County Appraisal District, Nueces County Court Appointed Special Advocates. She is also a former President of the Corpus Christi Young Lawyers Association and Director of the Corpus Christi Bar Association. Rose has been married to the Honorable Filemon B. Vela, United States Congressman for the 34th District of Texas, for 29 years.